Daniel Sellers '06, the Executive Director of EdAllies. Daniel Sellers was recently named one of three finalists for Teach For America’s Peter Jennings Award. 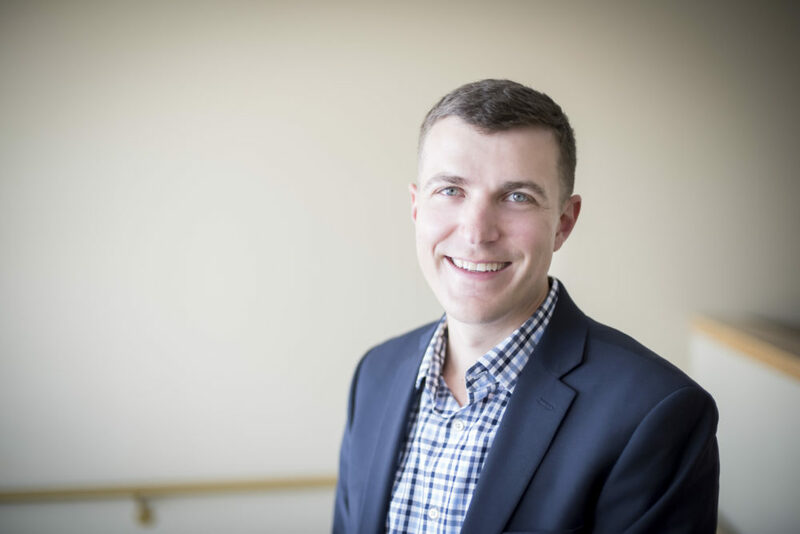 Sellers, a 2006 graduate of Gustavus Adolphus College, currently works as the founding executive director of education nonprofit EdAllies in Minneapolis. Sellers began with Teach For America following graduation, serving a school in North Carolina before coming back to Minnesota to establish a Teach For America chapter in the Twin Cities. In his early days at Teach For America, Sellers taught sixth grade math, where he raised the number of students passing the state standardized math exam from 40 to 75 percent in his first year. Back in Minnesota, he worked hard to ensure that Corps members could get certified to teach in the state. For Sellers, that means his work for EdAllies, a nonprofit that collaborates with schools to ensure that every student in Minnesota succeeds in a rigorous and engaging education. By focusing on putting underserved students first, removing barriers facing successful schools and programs, and fostering an inclusive conversation about what’s possible for students, EdAllies challenges traditional educational practices around teacher licensure, teacher prep, parental choice, data management and usage, and educational transparency. “He’s principled, committed, and willing to do the hard—and not at all glorious—day-to-day tasks that effect real change,” Rosenthal added. After igniting his passion for education during his time with Teach For America, Sellers continues to help students reach their full potential‒even when it isn’t easy. “Working for social change can be exhausting and it can be easy to get frustrated – successes often come in fits and starts. It’s important, however, to take time to reflect on the progress that we’ve made over the last several years to remove barriers standing in the way of success for students in Minnesota who are least well served in our public schools,” Sellers said. It all starts with finding your passion and fighting for it, he explained. Teach For America works in partnership with urban and rural communities in more than 50 regions across the country to expand educational opportunity for children by recruiting and developing a diverse corps of outstanding leaders to make an initial two-year commitment to teach in high-need schools and become lifelong leaders in the effort to end educational inequity.